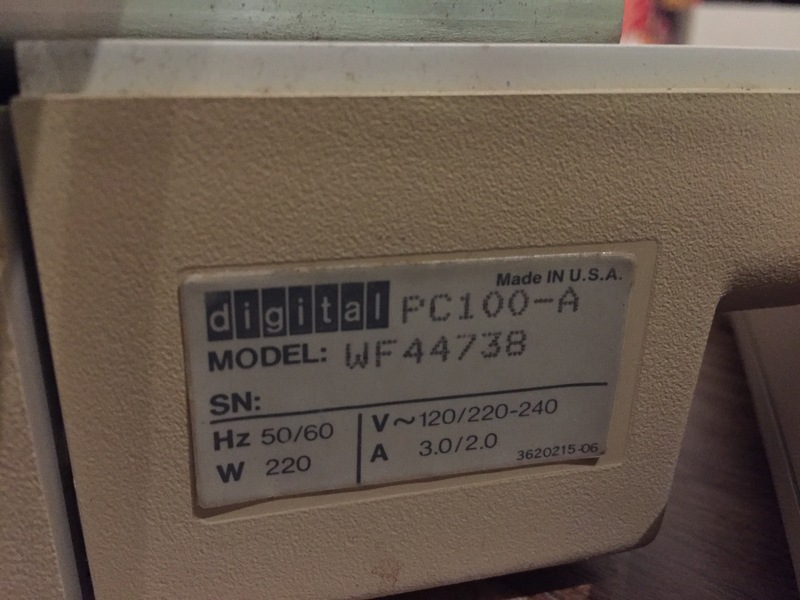 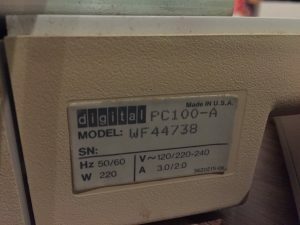 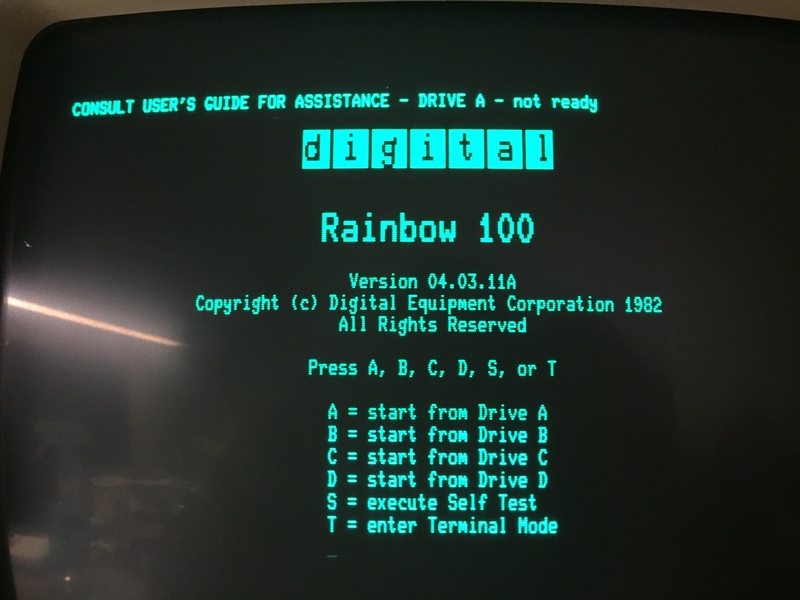 Here you will see our complete working DEC Rainbow PC100-A. 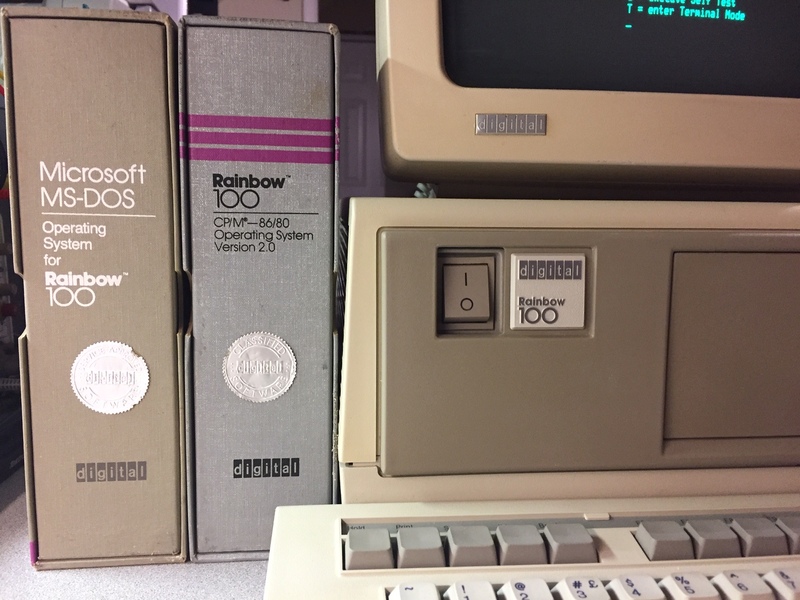 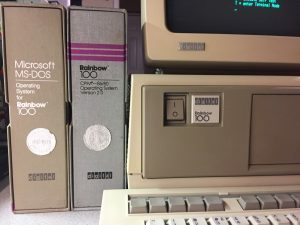 Released in 1982, the rainbow is a bit of a quirky machine that has both Intel and Z-80 processors cabable of running both CP/M and MS-DOS. 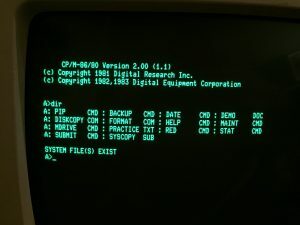 In addition, the system is also capable of functioning as a serial terminal connected to a host, no extra software required. 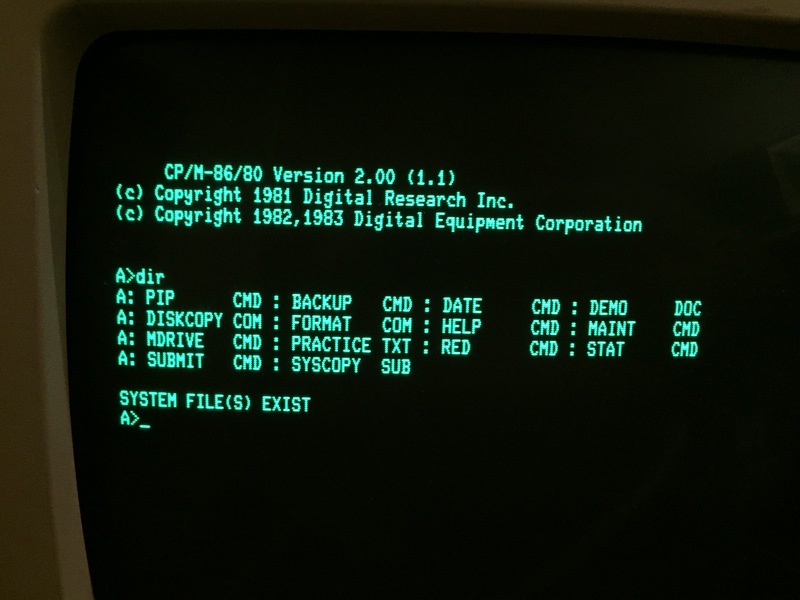 However, it is not truly IBM compatible even when running DOS. 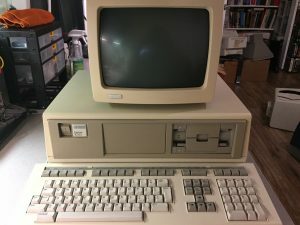 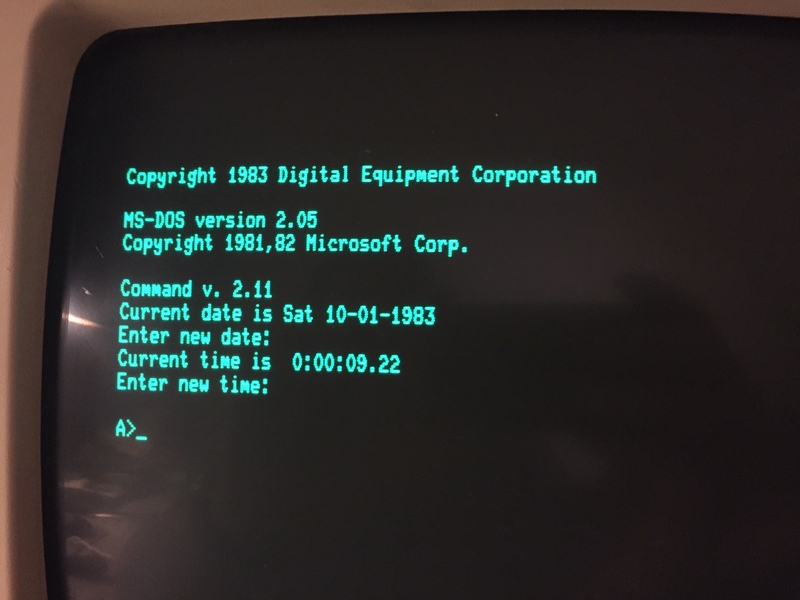 Our system includes both operating systems, manuals, VR-201 monochrome monitor, and is shown here with the LK-201 keyboard that is shared with the VT-220. The 5.25″ floppy is also unique, having two drives in a single full-height mechanism. Internally, the machine is well engineered with a number of metal plates holding things together. 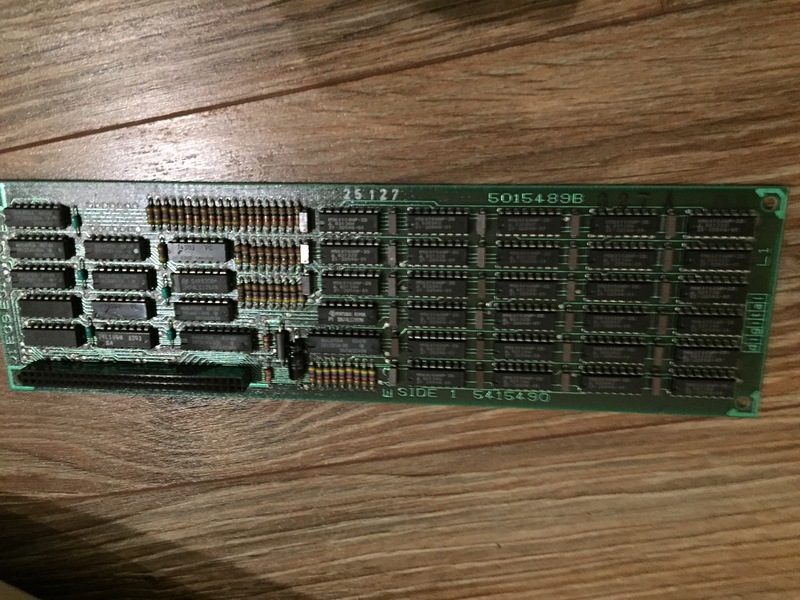 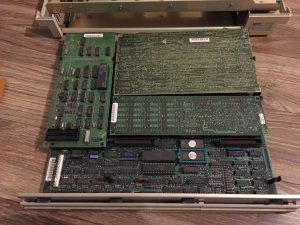 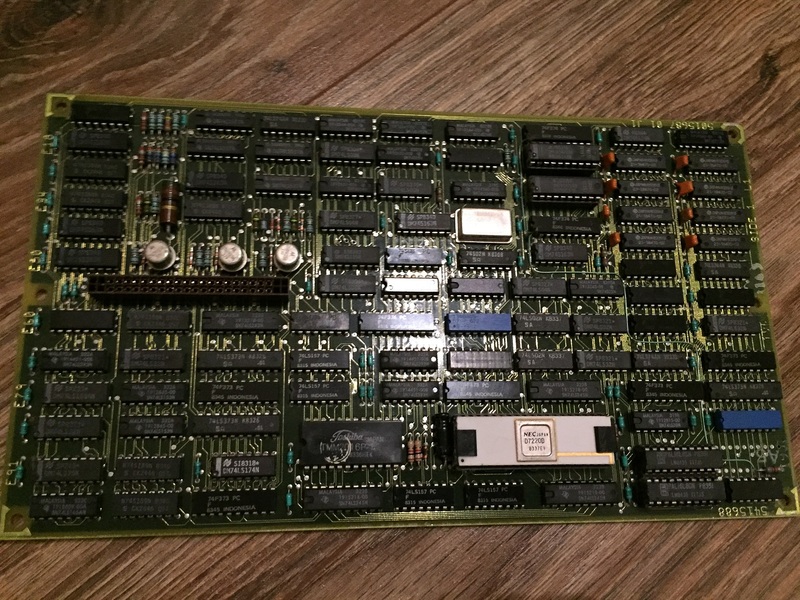 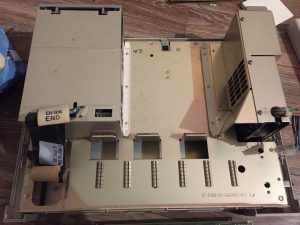 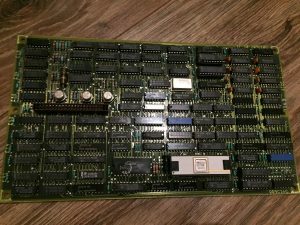 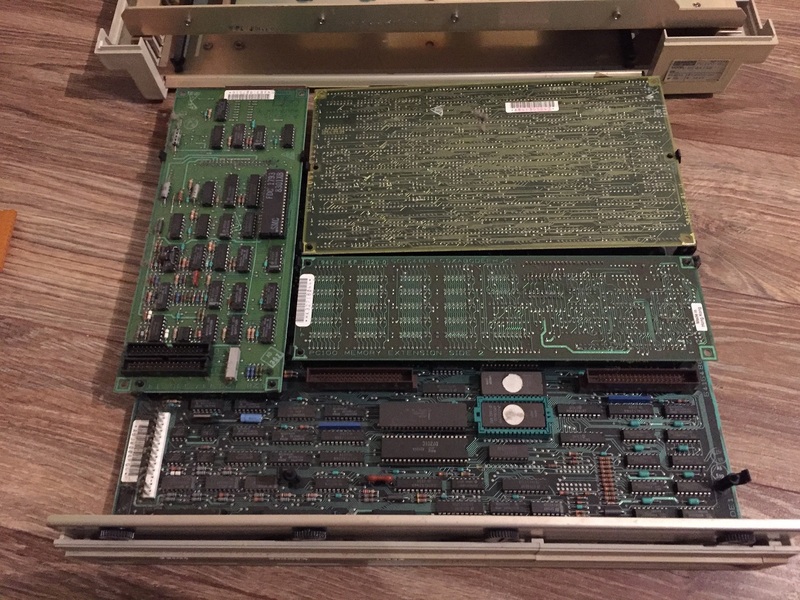 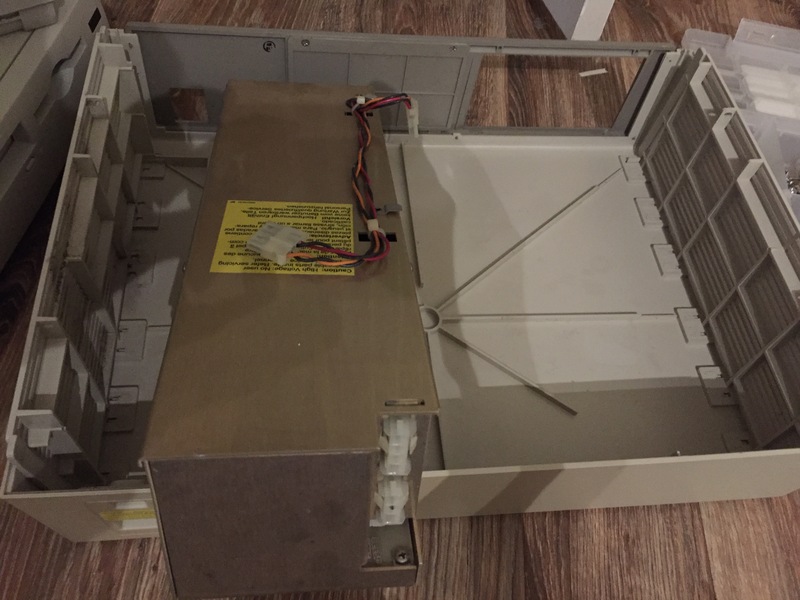 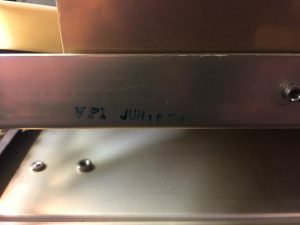 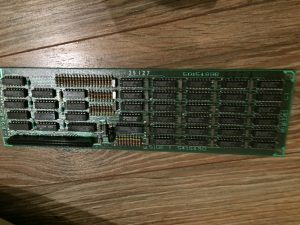 It is a tool-less design with latches holding in the diskette drive and power supply, and thumbscrews releasing the slide-out system board with attached daughterboards. 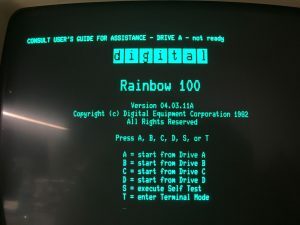 Another unusual aspect is that the keyboard connects to the monitor rather than the system unit directly. 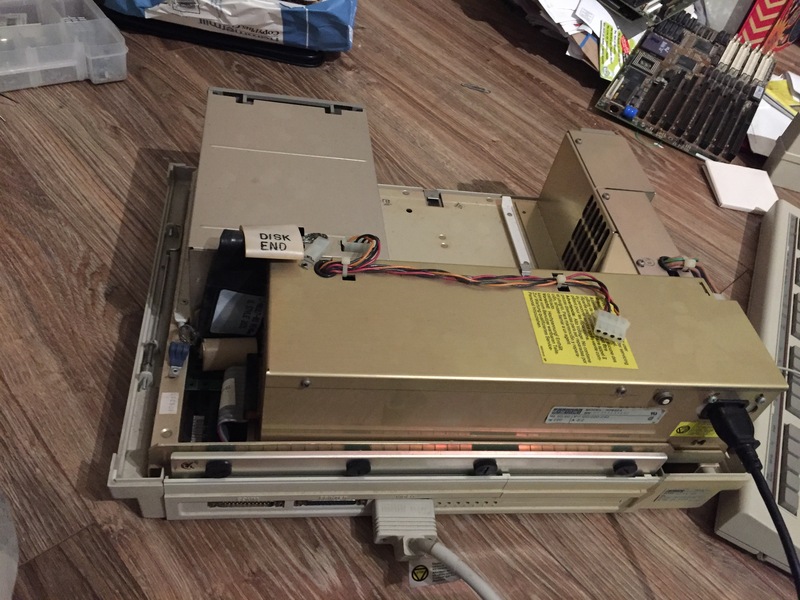 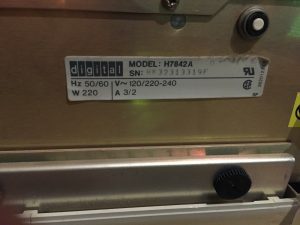 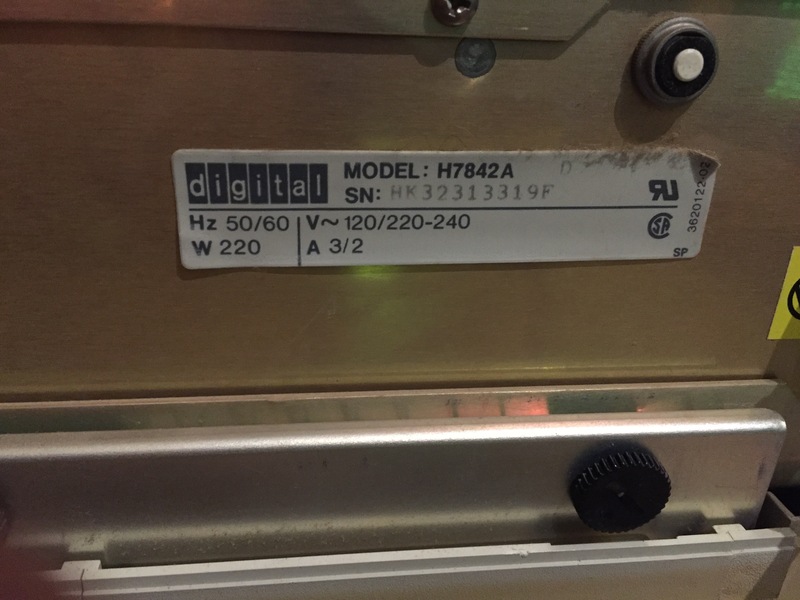 We also have a spare system unit that is not working, but serves as a supply of spare parts if needed for future maintenance.